Xiaomi Redmi Note 5 is really going to be a Notebook, the 5.5 inches, 18:9 aspect ratio has been confirmed, so it no longer news. 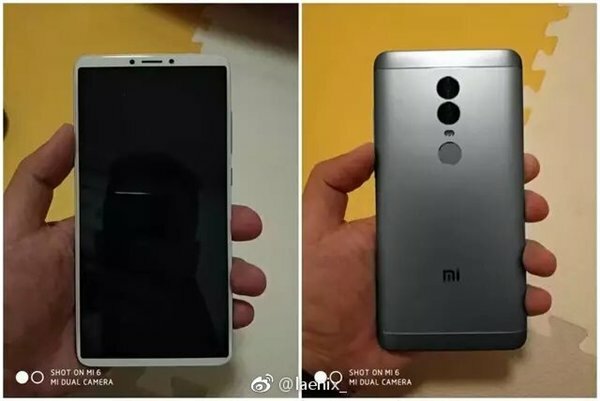 So the latest thing on the Xiaomi Redmi Note 5 are the leaked specifications. Talk of the processor, it will be clocked at 2.5ghz. No information at the number of cores but the SoC is expected to be Qualcomm MSM8956 Plus snapdragon. The internal memory that will suit the Note 5 is said to have a storage capacity of 16 – 64Gb variant dependant. The RAM is about 4Gb aacording to leaks. Cameras at the rear is going to be 16Mp and 5Mp making it the dual camera combination where the second camera acts as the detector for the depth-of-field thing. Cameras in front that useally serve for selfie is at 5Mp and not much except that it has an aperture size of f/2.0. Redmi Note 5 is expected to be powered by Android 7.0 (Nougat). DId i forget to mention the near-bezeless display of Redmi Note 5, which many argue that it is full screen and no bezel.